A 17-year-old boy was arrested and charged with murder following a multi-vehicle crash that left one person dead and three others injured in Woodland Hills on Friday, March 29, the Los Angeles Police Department has confirmed. 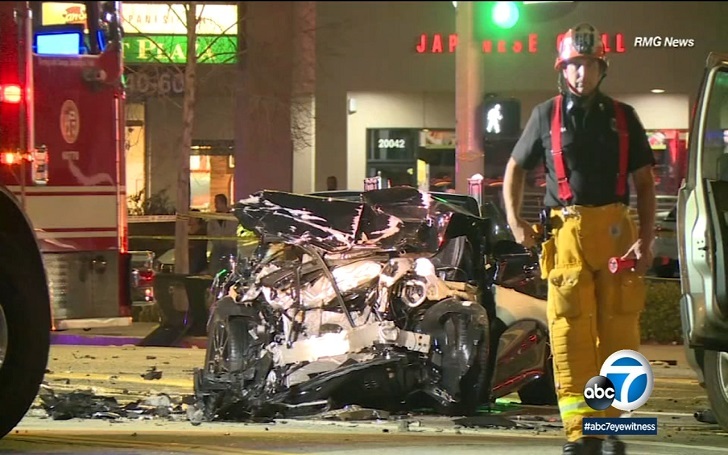 The boy, whose identity has not been disclosed, was driving a 2019 Mercedes-Benz car recklessly Friday night before he ran a red light and crashing into a Toyota Tacoma at the Winnetka Ave. and Ventura Blvd. intersection. The driver of the Toyota, who was an adult man, was pronounced dead at the scene. Besides the Toyota, the Mercedes also struck two other cars, wounding three people injured. All of them were rushed to the hospital. The teen suspect was taken into custody on suspicion of murder. Police are looking into reports the Mercedes' involvement in a street race. Authorities released the identity of the man who was killed in the crash; the victim was Edgar Rolando Pinedo, 51, from Panorama City.